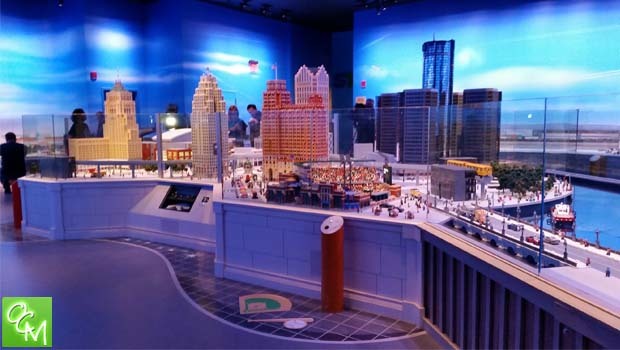 LEGOLAND Discovery Center Michigan Tickets Contest – Enter to win 4 tickets for FREE admission to LEGOLAND Discovery Center at Great Lakes Crossing in Auburn Hills! We’re giving away four-packs of tickets to LEGOLAND Discovery Center Michigan for 2019. LEGOLAND at Great Lakes Crossing has awesome events and specials. They even throw awesome birthday parties! Visit legolanddiscoverycenter.com/michigan for ALL the latest info & fun at LEGOLAND. Sign-up for our FREE OaklandCountyMoms.com newsletter here. e-mail me at lisa@oaklandcountymoms.com. Put LEGOLAND SUMMER in the subject line and don’t forget to include ALL of your contact info (name/e-mail/phone #). Please let me know if you’ve completed steps 1-3. I’ll accept entries until Wednesday, June 19, 2019 and draw/notify a winner on Thursday, June 20, 2019. The winner will receive 4 admission tickets to LEGOLAND Discovery Center Michigan at Great Lakes Crossing Outlets in Auburn Hills. Winners tickets will be snail mailed to them. Oakland County Moms is not responsible for lost or damaged tickets. Winner will be announced on this page on Thursday, June 20, 2019. MINILAND exhibit that is such a big hit at the LEGOLAND locations, and this one is designed to reflect the iconic buildings and skyline of Michigan. LEGOLAND Discovery Center Michigan resembles a mini indoor version of the LEGOLAND amusement parks in Florida and California (see related posts below for reviews). June 20, 2019 Winner – TBD Enter Today! LEGOLAND Discovery Center Michigan Tickets Contest is brought to you by Merlin Entertainments and Oakland County Moms! Just entered under the wire! This would be a great excursion over spring break coming up! already completed all 3 steps..